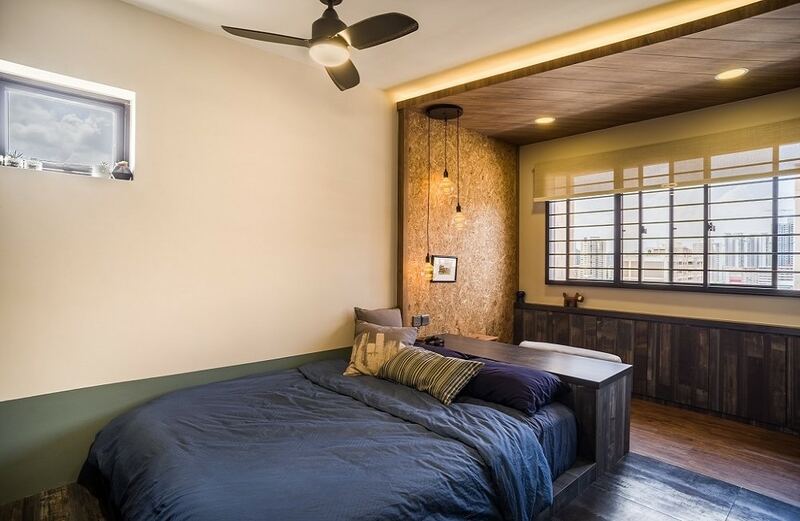 The layout of most Singaporean homes is very similar due to space constraints, and the dining table ends up being quite centralized within the open floor plan. 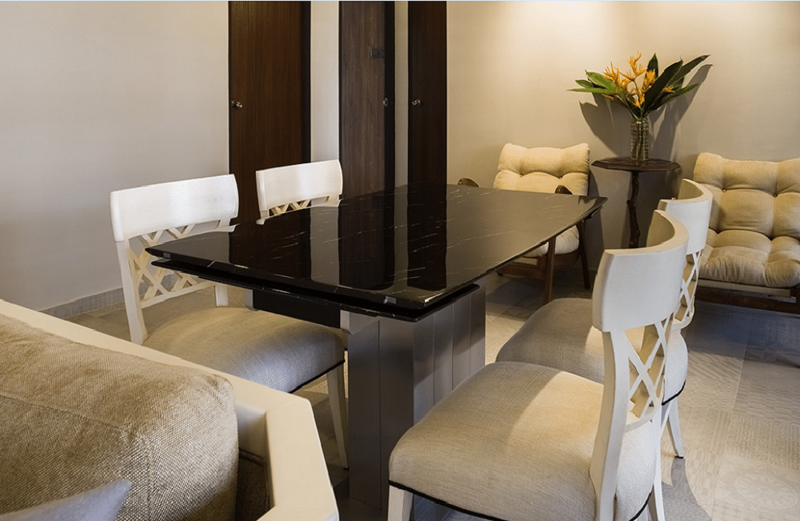 In such cases, the aesthetic and design of your dining table set matters a lot. You cannot just pick any furniture piece. The dining chairs, especially, have to be extremely plush for you to be able to emulate a truly luxurious aura in your homes. 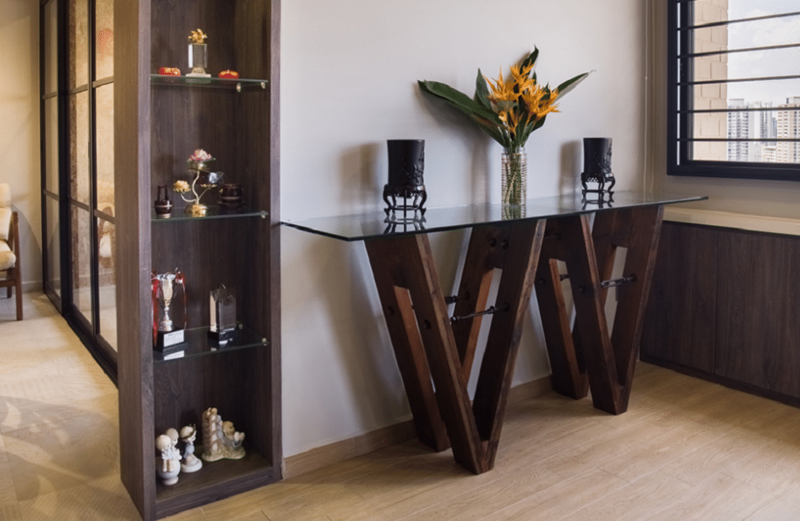 Trendy consoles have a way of adding an inherent charisma to any setting. They can add a new life to otherwise simple walls. If you don’t like the concept of overdesigning individual walls, then going for a statement-worthy console can help you achieve an understated, elegant, and luxurious look. It’s one of the best ways to accessorize your interior designs. In-built carpentry has an inherently luxurious vibe. This is mostly because it allows customized designs to be articulated in the cleanest of ways. You can go as big as you like with such features, and even the ones that are absolutely restrained can end up looking very glam. 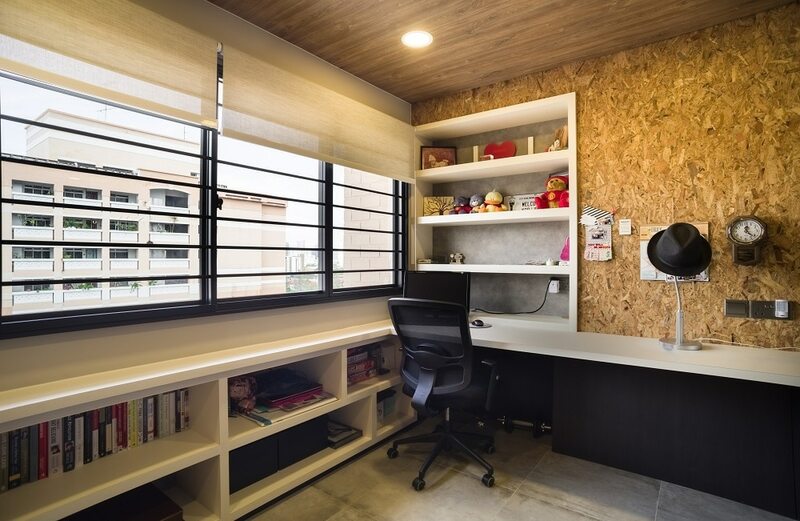 The study room shelves in this image are a great example of how even simple in-built’s can have a strong visual impact on the overall ambiance. Another décor item that can help you achieve the luxurious look easily is cove lights. Recessed into the ceiling, they emit a low, incandescent glow that looks absolutely charming – especially when you can’t really find the actual light source. They look great in all kinds of spaces, be t a bedroom, a kitchen, a living area, or even the bathroom. This versatility has made them an absolute must-have in all Singaporean homes! A cluster of bedside pendent lights is exactly what you need to make a luxurious statement in your bedrooms. There are so many unique designs that you can choose from, but most of all, they’ll definitely make your space look just like a magazine spread cut-out from the finest publications.